A record of all the relevant beekeeping that I do (or have done) during the month of December. 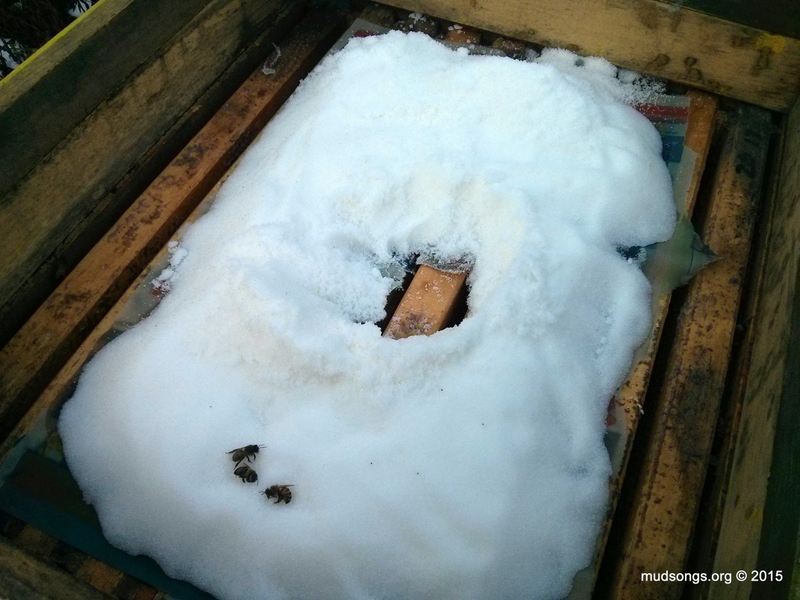 For the record, I began with two nucleus colonies in Langstroth hives in 2010 that I kept in my small backyard near downtown St. John’s (Newfoundland). I bought two more nucs the next year. 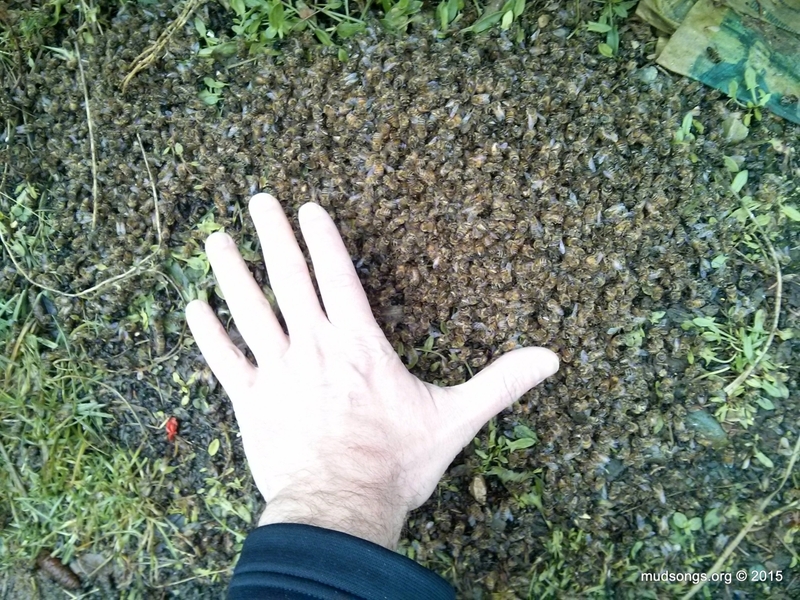 By 2012, using swarm cells and naturally mated queens, I had six colonies on a farm in Portugal Cove. By 2013, mostly by creating splits with swarm cells, I had eight colonies on the edge of a big field in Logy Bay. I lost most of my colonies in the winter of 2015 to shrews. That was the only year I wasn’t able to take honey from my hives. I moved what was left of my colonies to Flatrock in 2015 and slowly built my beeyard up to nine colonies by the summer of 2016. My goal is to maintain a relatively self-sustaining beeyard with no more than ten colonies. It’s time for my traditional New Year’s Eve action-packed post about nothing. Stand back, because here it comes. 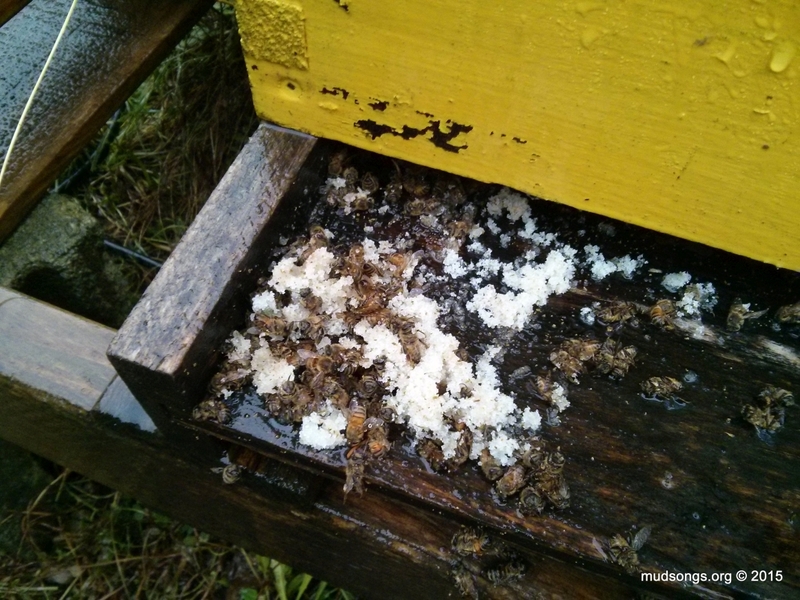 SHORT VERSION: The bees in only one of my five hives are eating the dry sugar I gave them a little over a month ago. The rest are still well below the top bars probably because I didn’t take any honey this year and I fed them massive amounts of sugar syrup before winter. At least I hope that’s the reason. The bees in all the other hives seem to be well below the sugar. 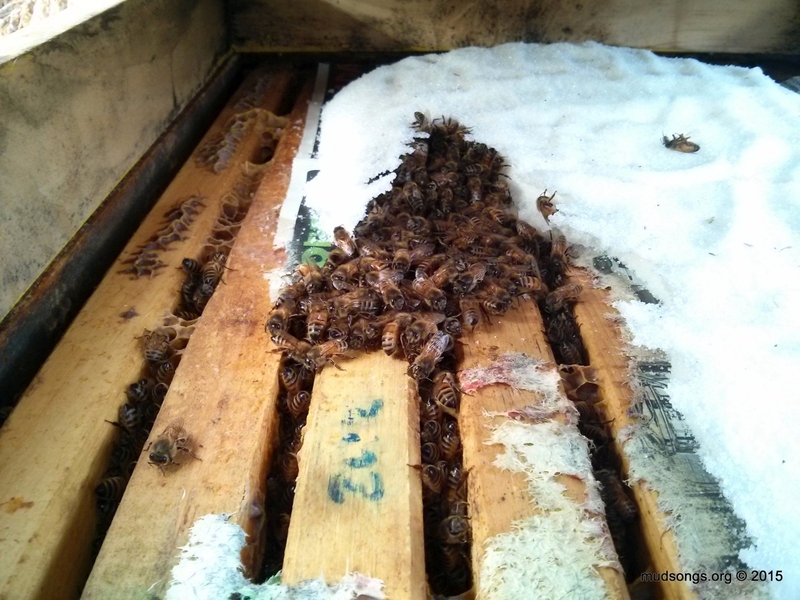 Most of them came above the top bars (i.e., the top of the hive) after I cleared a hole in the sugar, but within a week they were back down below. What does it mean? It doesn’t mean anything, but I don’t take it as a bad sign. I didn’t steal honey from any of my hives this year and I went through almost 100kg of sugar (220 pounds) to make syrup for them (building most of them up from a couple of measly frames of brood). The goal was to make sure the hives had as much sugar syrup and honey as the bees could pack into them before going into winter. And I think it worked. Most of the colonies aren’t eating the dry sugar because they don’t need it. They already have enough honey to stay alive — because I made sure they had as much as they could get before winter. That’s my story and I’m sticking with it. It’s nice when things work out the way you planned them. FEBRUARY 14, 2016: This has been my first winter in three years where I’ve been able to monitor my bees on a daily basis. I’m learning a lot. I feel like a first-year beekeeper again. I’ve noticed the bees in all the hives but one were clustered well below the top bars. On warms days, though, they rise to the top of their hives. When the weather turns cold again, they go back down. The bees in one hive have yet to rise above the top bars. They’re clustered so low, I can’t even see them through the top bars. I assume they have an abundance of sugar or honey frames. The tricky bit with feeding honey bees dry sugar in the winter is that they will sometimes discard it from the hive like they would with any other kind of debris. It can take up to week for dry sugar to harden from naturally occurring moisture inside the hive after it’s been added. If it’s warm enough for the bees to move around during that week, there’s a good chance they’ll start hauling the sugar out of the hive, or at least drop it down to the bottom of the hive. I’ve seen it many times. It’s an extra little mess to clean out of the hives in the spring, but that’s fine with me. I’d rather deal with that than starved out bees. Something similar to a no-cook candy board would probably prevent this because the sugar is a semi-solid block that isn’t going anywhere. Spraying down the newspaper and the sugar while adding the dry sugar might help harden the sugar faster too. 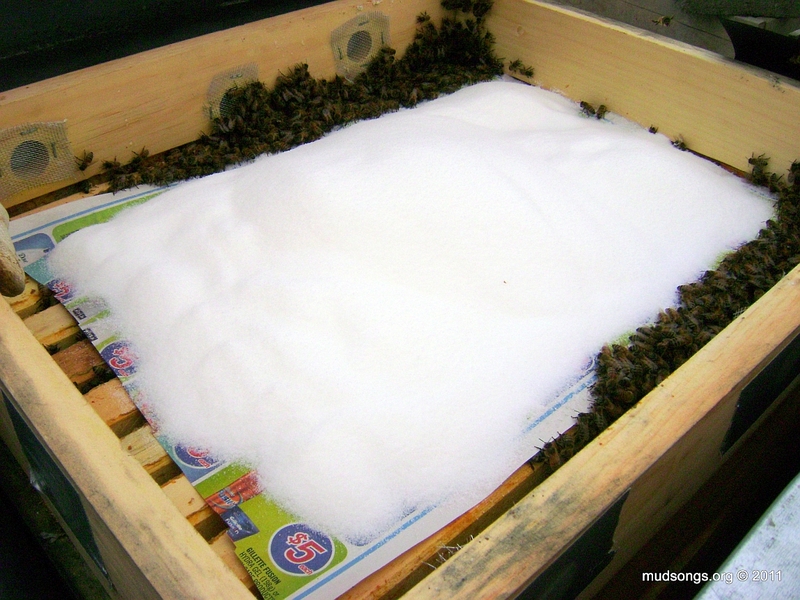 Not that adding moisture to a hive is usually a good thing, but I use moisture quilts that quickly wick away any excess moisture, so it’s not much of a concern for me.